ow To Make Sure You Get The Right Property Owner's Insurance. You are here: Home / Money / Business / How To Make Sure You Get The Right Property Owner’s Insurance. How To Make Sure You Get The Right Property Owner’s Insurance. 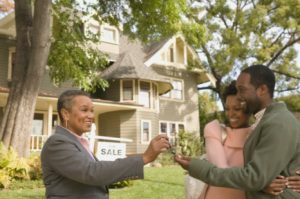 (ThyBlackMan.com) When you finally have a house, you then start to understand just how difficult it can be to maintain and all of the associated costs. Maintenance, taxes, incidentals, and of course: insurance. Insurance companies get a bad rep, but if your house is ever in trouble because of major events outside of your control, you’ll be more than happy about the fact that you’ve oaid into it. That’s if you bought the right insurance, that is. Many companies have no qualms about selling you cheap plans that cover essentially nothing and aren’t well suited to houses in your area, so it’s imperative that you do your homework before you commit to a policy. That extra $20 a month could end up saving you 20 thousand in repair fees should anything go wrong. Despite whatever names the company uses to market their policies like “basic”, “advanced”, or even more lofty terms, it’s of extreme importance that you ask your broker what isn’t covered by a specific plan. These are referred to as exclusions and are often not cut and dry. Have your broker explain in no uncertain terms where your coverage begins and where it ends. If you live in an area prone to extreme flooding, you can be in for a shock when you find out that your “flood coverage” doesn’t extend past the first five centimeters of water in your flooded basement. As much as insurance companies may not cover you for simple things, there is also such thing as overcoverage. You should understand the terrain and climate of your house plus what is to be expected from houses in the area. The right property owners insurance will be able to cover all of the things that are actually likely to happen to you and none of the things that aren’t. For instance, you can probably skip the volcano insurance. While that example is extreme, I hope it illustrates the overall point I’m making. There are specific extensions to your policy that should be purchased if it is a serious worry. Ask your neighbors and if the sewers back up often, then you should call up your insurance to make sure that your policy actually covers it. The more homework you do during this portion of the policy purchasing stage, the more protected you’ll be later. Just make sure that protection is actually necessary and not just driving up your premiums. The different insurance companies will all offer different services under slightly different terms and for a slightly different price. It’s wholly necessary to take the time to properly read through the policy agreements for each and every company before settling on the one that will be covering your home. Not to mention that by actually going from company to company you’ll be able to get a better idea of who is actually likely to pay out your claims should disaster strike instead of just turning you away. You should go to at least three different insurance providers before deciding what is best for your home. Most people are shocked to realize that their property owner’s insurance doesn’t cover even the most basic of things that they thought it would, and end up embroiled in long legal battles that seldom work out in favor of the policy holder. As long as you do your due diligence and ask the right questions to your broker, you won’t end up being one of these people. Insurance companies aren’t out to get you, you just need to understand both your home’s needs and the insurance industry itself.